This strategy will strengthen collaboration among the Central Valley’s top research universities and industry. It includes a partnership between the UC Davis World Food Center and Fresno State to launch a new University/Industry Collaborative Research Center with food companies to develop technology solutions to improve the water and energy efficiency of our food industries. This partnership will strengthen the research nexus between the two areas and provide KTS businesses in the Central Valley (and elsewhere) with greater solutions to their production, operational costs and sustainability challenges through a regionwide university industry network focused on identifying new research priorities and technology transfer opportunities shaped by their input. In addition, more research and innovation showcase events will be organized to facilitate more sustained connections between university faculty, national laboratories, KTS businesses, global technology companies, and investors, within the region and beyond. The World Food Center and SARTA will partner to host quarterly regional networking events to connect entrepreneurs to support industries and mentors. The World Food Center also will host an annual national agriculture and food technology showcase event to highlight emerging technologies, companies and investment opportunities in the region. Regional showcase events will be replicated across the region. AgPLUS will leverage existing California Governor’s Office of Business and Economic Development (GO-Biz) designated iHubs to expand the availability of Small Business Innovation Research (SBIR) and Small Business Technology Transfer (STTR) training and technical assistance to Central Valley KTS businesses, university faculty and researchers. 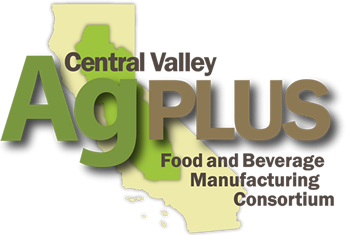 Together the NEC SBDC and UCM SBDC provide coverage to the entire Central Valley AgPLUS region. These two organizations, one of which is administered by Co-Applicant the Center for Economic Development at Chico State (the NEC SBDC), will connect and enhance regional iHubs by building additional capacity among small business consultants to assist with SBIR/STTR applications. SBIR/STTR application training workshops will increase from the current 2 per year in order to enable a greater number of SMMs to commercialize new technologies and expand into new markets.